Lately we have witnessed a revival of the pastry discipline in Australia, as well as an increased interest from the public, particularly with the recent Macaron craze and Masterchef/Zumbo-mania, which is all very good news! Two weeks ago at work, we had the pleasure of welcoming “Meilleur Ouvrier de France” Pastry Master Bruno Pastorelli, back in Sydney to show his latest creations. 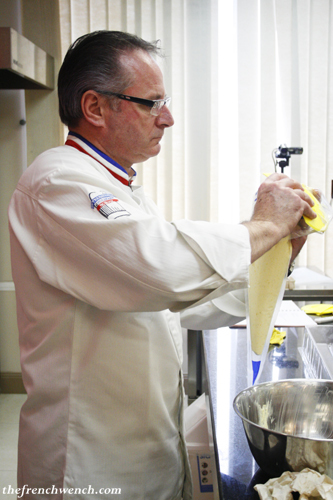 He also represents DGF Industries (a leading French supplier in pastry products), for whom he researches, develops and creates new products and recipes, gives presentations all over the world and teaches as well at the DGF International Culinary School… a busy man indeed! Another reason for Bruno’s visit was to get in touch with local pastry chefs in view of organising an Australian team to compete in the next “Mondial des Arts Sucrés” in 2012, a renowned international pastry competition, taking place every two years during the huge trade show “Europain Expo”. 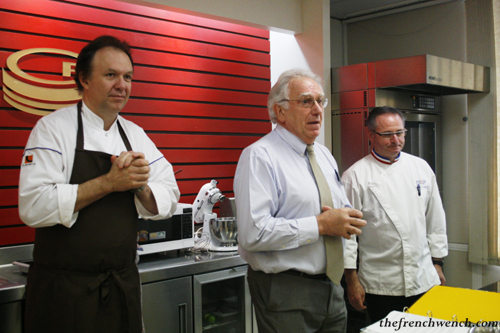 The presentation took place at Continental Patisserie in Strathfield, where Bruno had done his first presentation, back in May this year. 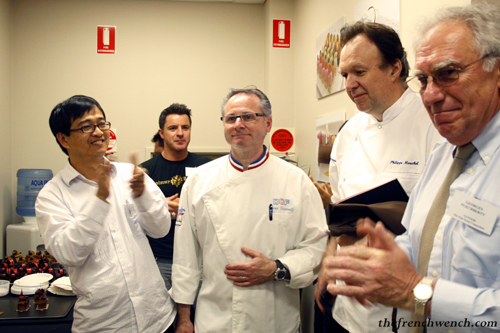 He was helped this time by an old friend of his, who turned out to be no less than Philippe Mouchel, whose famous Brasserie at Crown Casino recently closed its doors… Philippe’s new venture, PM 24 Bistro Rôtisserie, will be however opening in December in Melbourne’s Russel Street, number… 24! 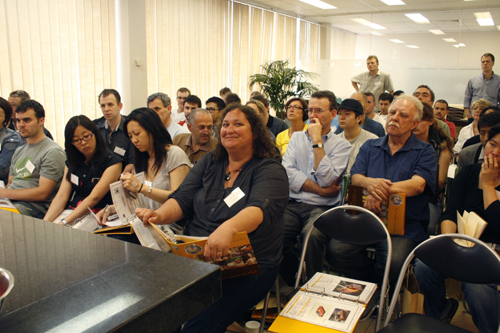 The audience was composed of Sydney pastry chefs working in restaurants or in their own patisseries, as well as teachers from the famous culinary school Le Cordon Bleu and Tafe Ryde. Even Justine Schofield from Masterchef Series 1 was there with her mum Françoise! You can check out the pictures she took on her Facebook page. – Le Mendiant: literally “The Beggar”, a twist on the chocolates with nuts and dried fruits of the same name. 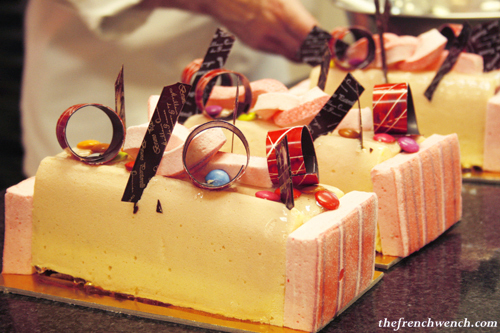 – La Bûche Enfantine: a log/cake for the kiddies, with lots of colours, marshmallows and even smarties! 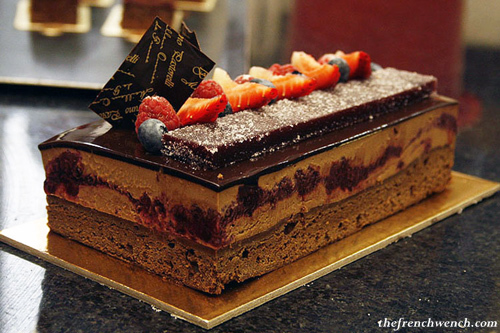 – Royal Framboise: a delicious chocolate and raspberry cake. 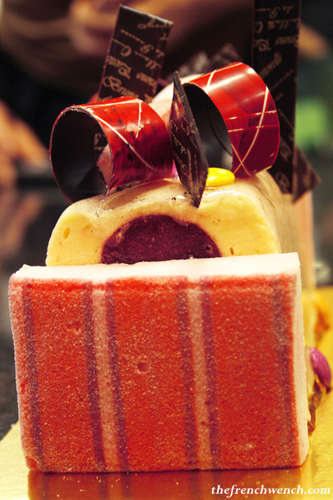 – Mûre sauvage: a cake combining different textures of wild blackberries with a sumptuous chocolate mousse. Bruno had to come two days early to do his “mise en place”, so that the presentation doesn’t last too long, as all the recipes involve many different processes, as well as a few hours of being kept in the freezer. Needless to say, he didn’t see much of Sydney this time around either! 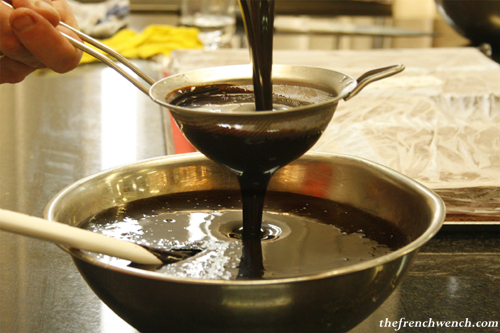 Here is a small selection of pictures from each recipe. I won’t go much into the details, as the recipes were quite long and complicated (to me they sounded anyway). As soon as Bruno started on his recipes, you could tell you were in the presence of a great professional: his gestures were precise, measured, efficient. What also struck me was that his working bench was always spotless, the least crumb of pastry or drop of chocolate was immediately wiped, it was quite impressive! No wonder he is one of the chosen few “Best craftsmen of France”, this award is only reserved for the “crème de la crème” of pastry chefs. The marshmallow (“guimauve”) was really soft and fluffy, and with a colleague we managed to hoard a few unused pieces at the end and ate them as is! 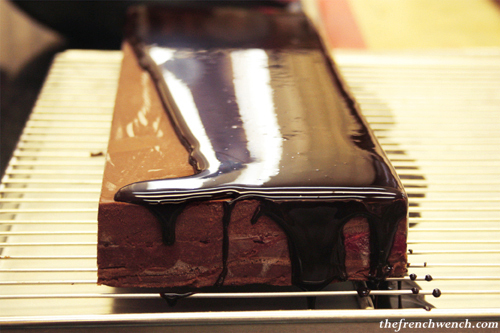 Bruno warned us that the Royal Raspberry cake was one for the chocolate lovers… he was right! The cocoa icing, combined with the raspberry & chocolate sauce and the chocolate biscuits made it pretty rich, but utterly delicious! However complicated the recipes sound, Bruno’s philosophy is actually to not add too many different flavours to his desserts. 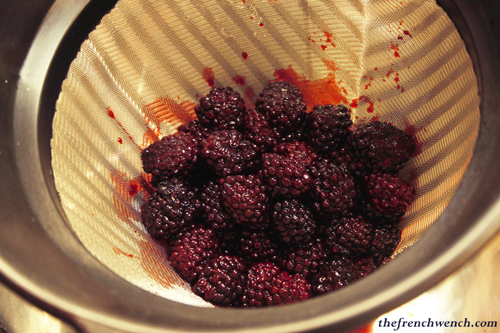 He prefers putting the accent on 2-3 main flavours and let them speak for themselves, for example, the Wild Blackberry (pictured above), a very chocolatey dessert, with the Blackberry jelly and paste cutting through the richness of the chocolate mousse and chocolate biscuit. 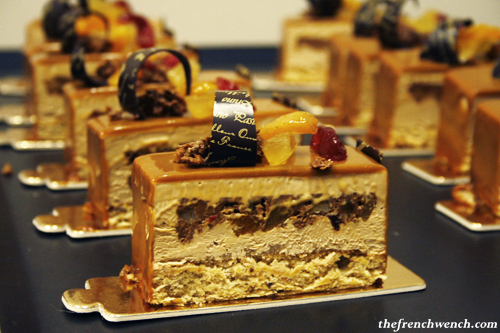 The “Mendiant” was my big favourite of the day: it was composed of a Hazelnut biscuit, a croustillant with dried fruits and royaltine, milk chocolate, ginger & lime mousse and finished with a caramel icing…. let me tell you, that cake was fantastic and actually quite refreshing, the ginger in particular was a great addition. To put in a nutshell, the presentation was very instructive and the audience left inspired, with new ideas and techniques! 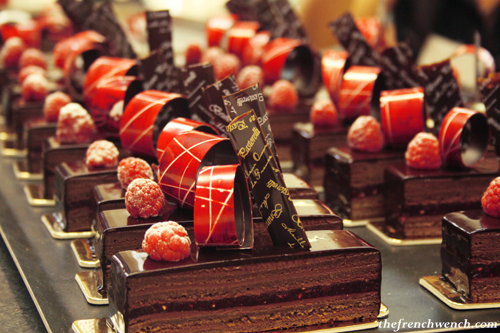 This entry was posted in Events, French Specialties and tagged Bruno Pastorelli, M.O.F., pastry, patisserie. Bookmark the permalink. OMG. I’d have gone to heaven! 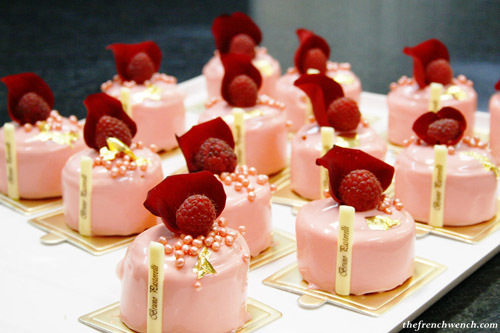 Those pastries look incredible, I too hope Australian pastry chefs continue to grow in talent and knowledge, I think we are slowly getting there. Thank you for your comment Sara, they were indeed pretty amazing! Bravo for this article ! Great photos !! Are you going to make some of these for Xmas ? Just to look at the “mendiant” me met l’eau à la bouche !! 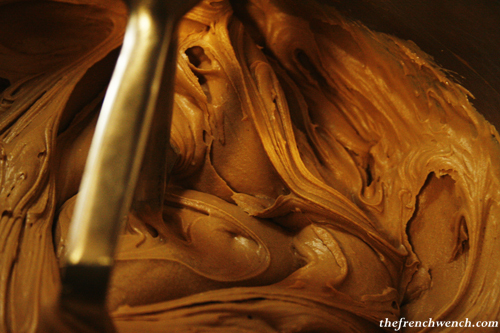 Aren’t you lucky to be able to taste such delicacies ! See you soon ! mmmhhhh! Et le site en français ?! Well done on the photos! Everything looks stunning and delicious. Difficult to pick a favourite among that work of art. Thank you Corinne! He really is an artist, crossed with a scientist. So precise… the guy is a machine! 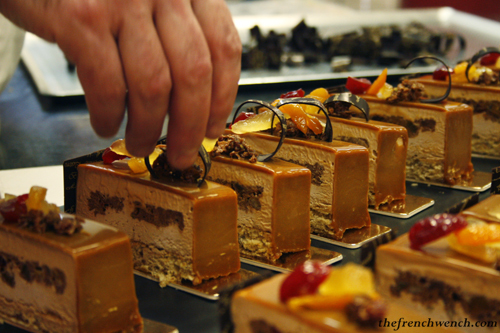 Hey Sandra, what a awesome experience – pastry is my weakness and wow, Bruno is definitely my hero. Those cakes presented were just a work of art! What a great event! Merry Christmas & Happy New Year to you and your family, Sandra! Thank you Ellie, and to you too, have a great time with your family!